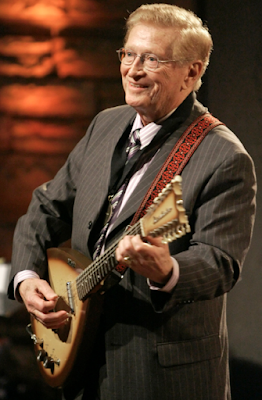 Country Music Hall of Fame member Harold Bradley died this morning at the age of 93. He and his late brother, Owen Bradley, helped create the "Nashville Sound." As a studio rhythm guitarist, Harold played on thousands of recordings including Eddy Arnold's "Make The World Go Away," Don Gibson's "Oh Lonesome Me," Brenda Lee's "I'm Sorry" and Roger Miller's "King Of The Road." Bradley was the first president of Nashville's chapter of NARAS. In 1991 he became president of Nashville's chapter of the American Federation of Musicians, later becoming its international VP. Bradley was inducted into the CMHoF in 2006. Arrangements are pending. RIP Harold. Thank you for all you did to make this a great genre.